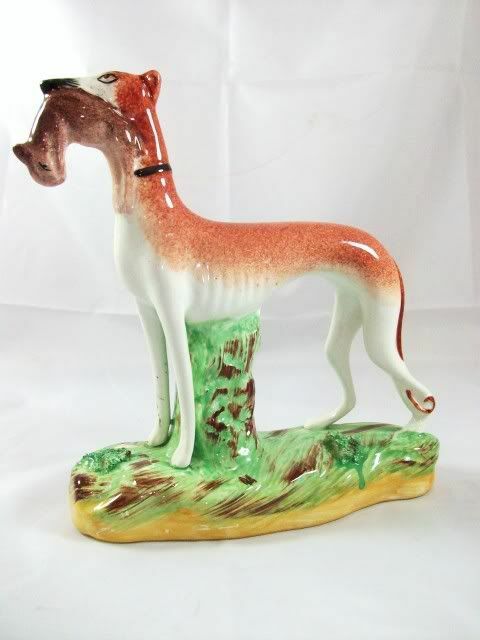 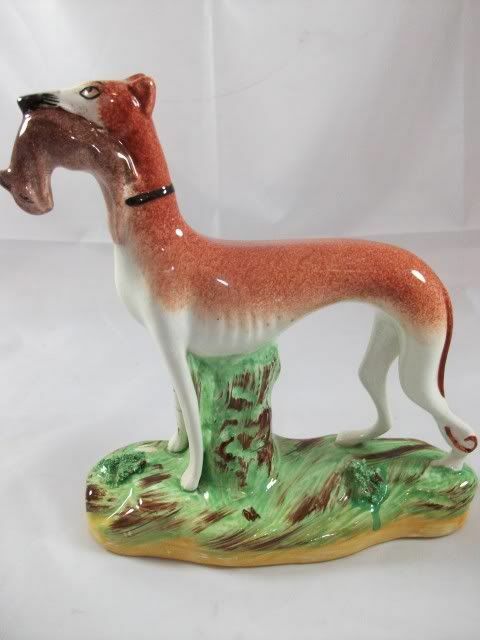 Antique Staffordshire standing whippet. 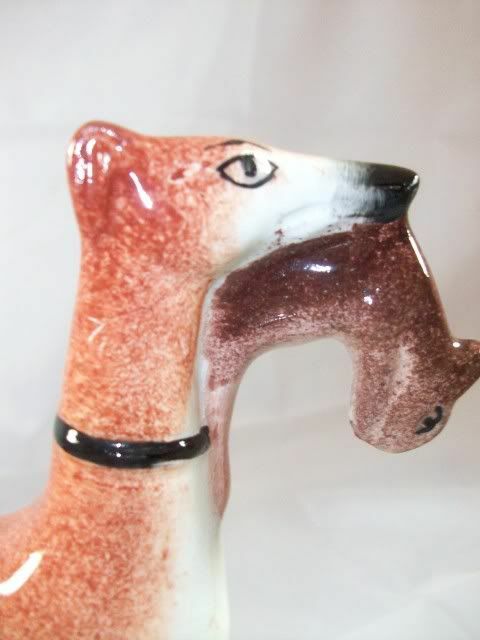 The pottery whippet measures 7.5" tall by 7" long and 2 3/4" deep. 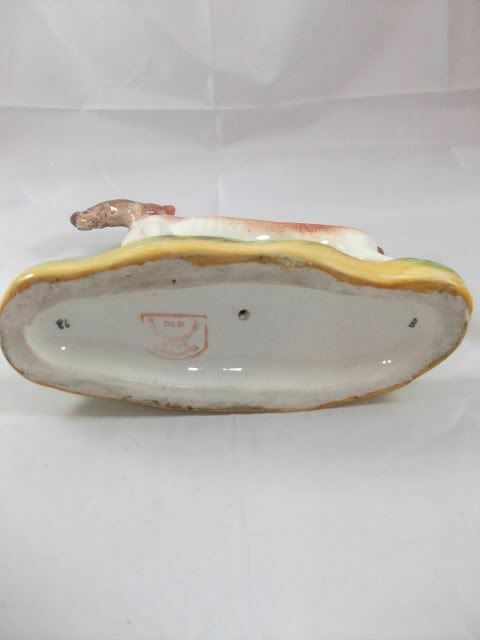 The piece is good condition with no loss. 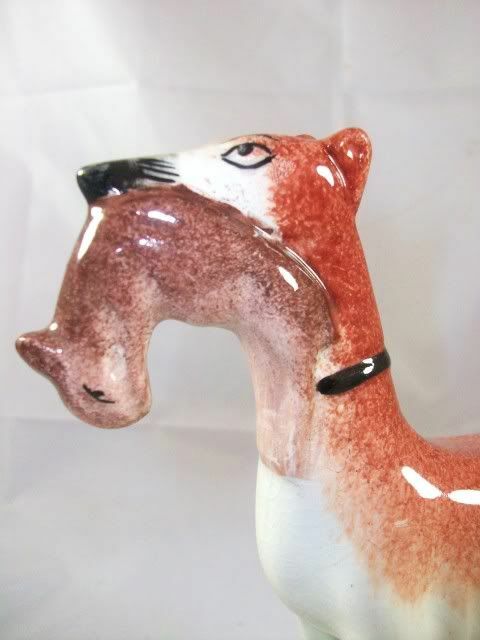 Sadly he has a brother that has a bad leg . 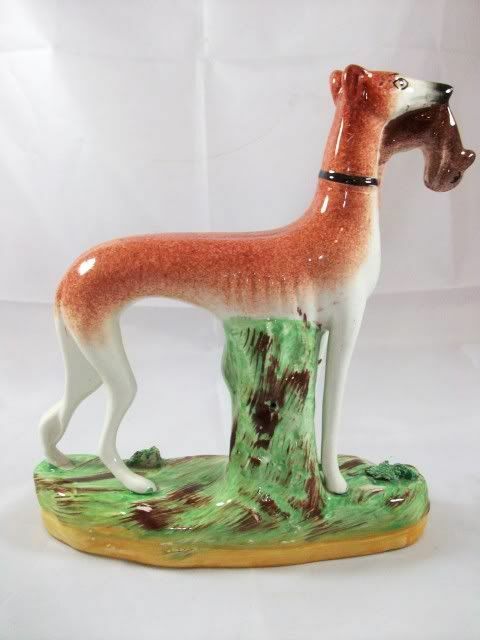 He is free to a good home if you buy this one.